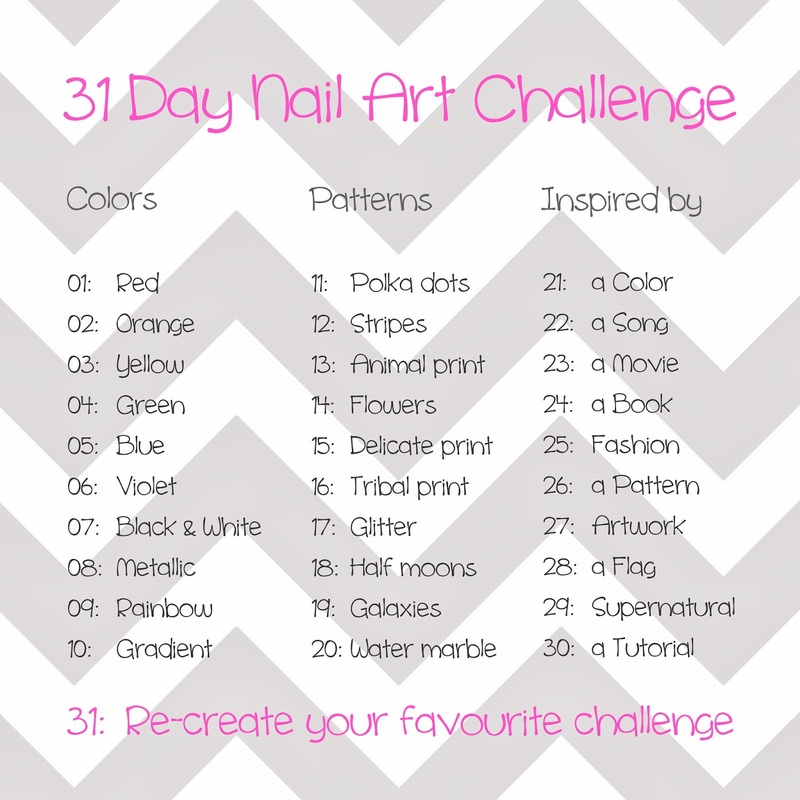 Okay, so this is my second attempt for doing the 31 Day Nail Art Challenge. Second 'attempt'? Yes, because the first one was a total flop. But now I'm gonna try it again! Maybe I won't post on daily basis, but definitely on a more frequent basis than I did at my first try. Most of you are familiar with the challenge, some are not, but for all of you I have the challenge described below. I'm very excited to start the challenge! I already feel some designs coming up in my head. Let me know what you feel about this challenge! Do you like it? Did you do this or are you gonna give it a try? Feel free to copy the image and paste it in your own blog!